The 24/7 pool is ready when you are. Make your world-famous pancakes before heading out for the day. With the onsite fitness center, there's no excuse for missing your daily workout. All residences include private balconies, perfect for enjoying the desert air. Located on West Tropicana Avenue, just three miles from the world-famous Las Vegas Strip, the gardeny Club De Soleil is close enough to easily access all the must-sees but far enough away to enjoy some peace and quiet. Surrounded by 25-foot palm trees, it has a French-Mediterranean style so convincing, you half expect to be greeted with a “bon jour.” The outdoor heated pool and hot tub are ready when you are – they’re both on Vegas-time, open 24/7. That means unlimited lounging in your chair of choice. So the only remaining question is – margarita or mai tai? Channel your inner Serena on the outdoor tennis court in a game of doubles with the kids, and see who emerges victorious. If you want a more traditional workout, the fitness center includes stationary bicycles, elliptical machines and treadmills. Take your time – once the kids find their way to the Activity Room’s ping pong, foosball and video games, they won’t even realize you’re gone. All condos have been recently upgraded with fresh paint, new carpet and bedding. Each renovated one- and two-bedroom residence is 710 to 1050 square feet and sleeps four to six guests. Housekeeping pays a welcome visit every fourth day, but you can always let them know if you need more towels or fresh sheets. All condos have full kitchens (two-bedroom units include an additional kitchenette) with granite countertops and brand new birchwood cabinets. A full-size refrigerator gives you plenty of room for stashing everyone’s favorites. And the kitchen is stocked with all the gadgets you need to whip up family favorites. The complimentary resort shuttle makes an Albertson’s grocery run three times a week. Living Rooms have ample space for the kids and their traveling stash of sports gear and pool floats. And if you’re all Vegas’d out and want a low-key night in, the brand new 42-inch flat screen TV and DVD player have your back. Or you can see who’s game for a late-night trip to the hot tub – you’ll likely have a few takers. The resort has two barbecue grills in the courtyard perfect for flipping your famous secret-seasoning burgers or getting semi-fancy with kabobs. 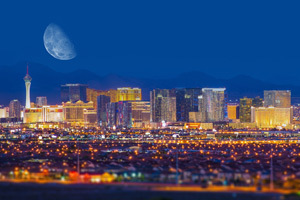 Hourly shuttle service to the Las Vegas Strip gives you plenty of day-planning options. Try your luck at Caesar’s Palace Casino, check out a show or concert at The Colosseum, and the Fountain Show at The Bellagio is a can’t-miss. Vegas icons like the MGM Grand, Mandalay Bay and the Venetian are also close by and definitely worth a visit. Already been there, done that? Ask about Jeep tours, bike and jet ski rentals, horseback riding, championship golf and “pro” shopping venues. The too-many-to-choose-from dining options can be overwhelming – ask the locals for a point in the right direction.